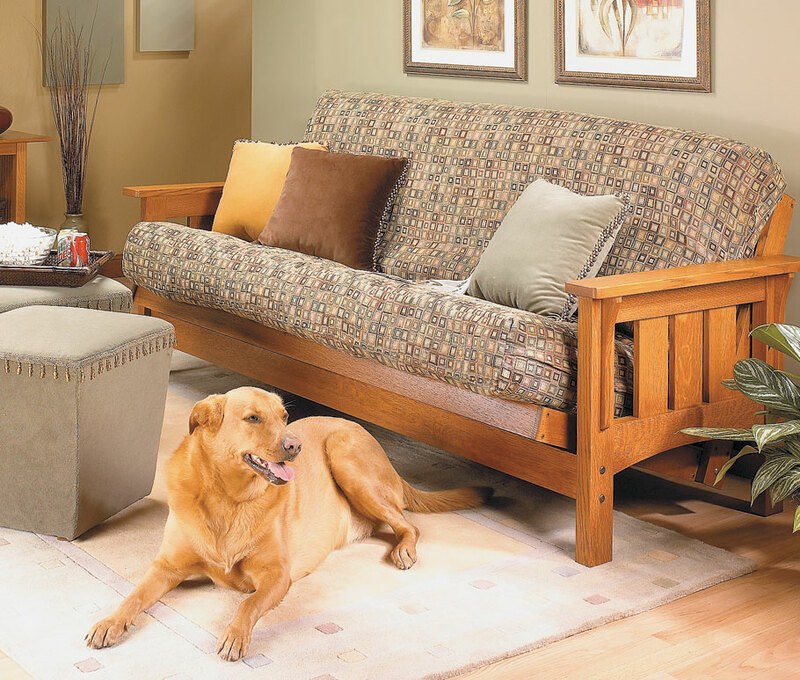 The heavy-duty hardware, solid-wood construction, and Craftsman-style features make this futon a pleasure to build. 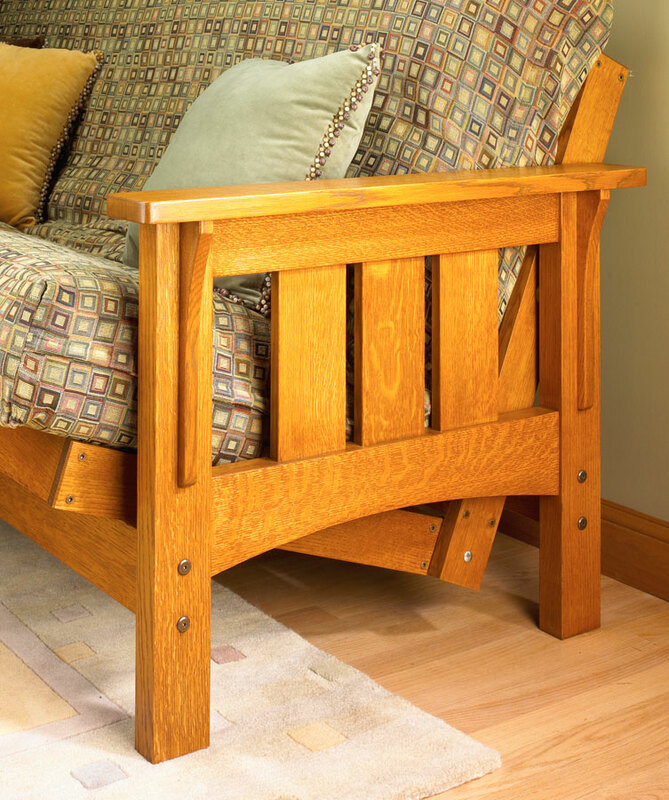 Few projects are more practical than this handsome, Craftsman-style futon. If you have limited space and a lot of guests, a futon is a perfect solution. But a store-bought futon can leave your guest room or den looking like a college dorm. 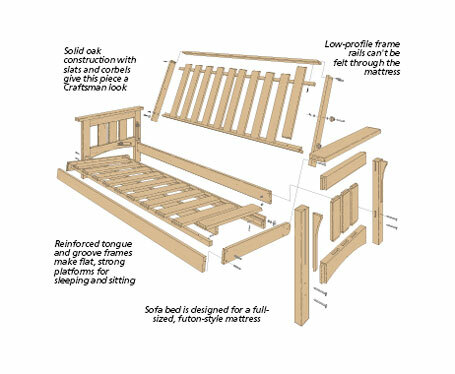 For this design, I adapted some classic furniture techniques using Craftsman details to elevate the look of a typical futon. 8 pages of step-by-step instructions. 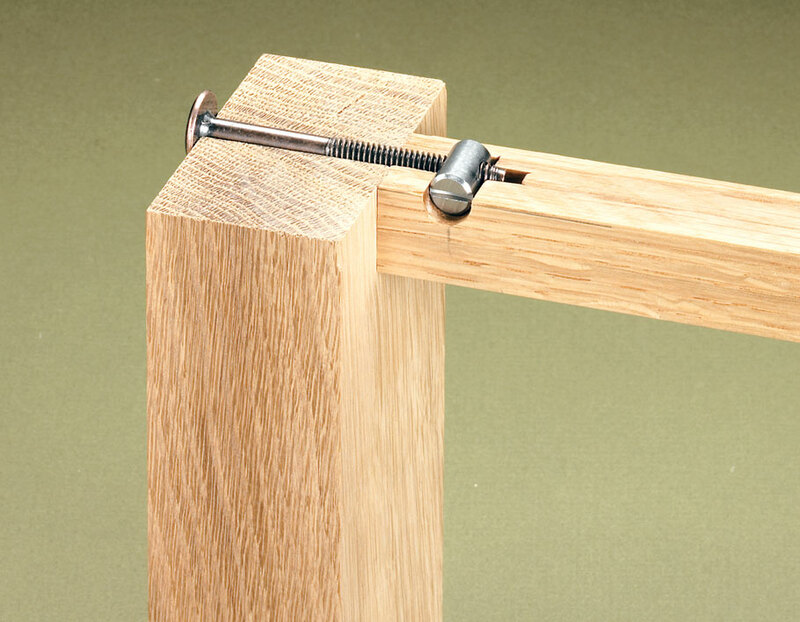 A pattern for the template used to cut the grooves for the knock-down hardware.